This week gold flirted with the upside of its recent $1250/oz downturn, buoyed by the Iraq problem. This countered the continued good economic news coming out of the USA and Europe. Not so the PGMs where the strike continues in the South African mines. New Minister NR, had got stuck in early into negotiations between the rampaging union AMCU and the intransigent companies Anglo Plats, Lonmin and Impala. Now he has pulled out of his role as mediator in the five month strike. So would we. If the companies agree to a progressive deal, as demanded, to double wages it will affect the whole of South African industry and greatly damage its investment potential. Government knows this. The country suffers neither rampant inflation nor a soaring bank rate; just in some quarters, a lack of reality. There is no sign of surface supplies running out. So whilst palladium has witnessed an analyst-inspired rush of blood we do not see it lasting. Platinum and Palladium. In producing our weekly figures we use the closing London prices, official. These do not always reflect late trading particularly in New York. There was a sharp fall on Friday following news that SA union AMCU had taken an “in principle” deal to its workers. Don’t tell us common sense has broken out. It meant that on the week, platinum fell almost 1% but palladium – the investors’ darling – over 3%. The Pt/Au ratio also fell a full three points to 1.13 and gold surged a full $25/oz on Iraqi problems. WIM says: Now if the lads return to work, all 70,000 of them, metal will flow again and there will be downward pressure on price. Purists will contend that the deficit will be there still, so prices could remain high. The largest manufacturer/consumer, Johnson Matthey, says this year will see deficits of 1.22Moz Pt and 1.61Moz Pd, the 8th year in a row of such. WIM says: Now as these are two industrially used metals (Pt 70% and Pd 90%), it is just not possible to run 8 years deficits without it coming from someplace other than mining. Russia has long held palladium stockpiles and recycling plays an increasing role irrespective, these two metals are still in hock to gold. *We take the value of gold at $1250/oz which equates to c. $40M per tonne. So does this all signify, or is it just a bit of fun? We welcome correspondence on the topic. The UK is having a strong economic run, yet look at its ratio. Conclusion? Yes there is a role for gold in the monetary system but it is far from mathematically defined. *The lower the debt vs gold ratio the better your position. The case for silver. This rests on the metal being “precious” in a chemical sense, having good anti-corrosion characteristics, resistance to most acids and so on. It is formidably linked to gold because of these and its price reacts accordingly. Yet it is more common, massively so. 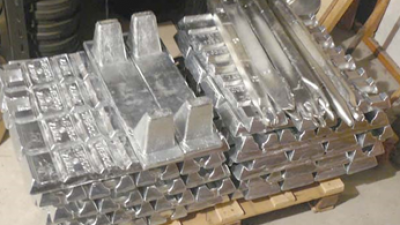 Silver has been mined in quantity since recorded history and its 1/66 price ratio to its sister metal probably means that if we can identify 150,000t of gold on surface, we can possibly touch for 10 million tonnes of silver. Now that is just too much to get excited about. 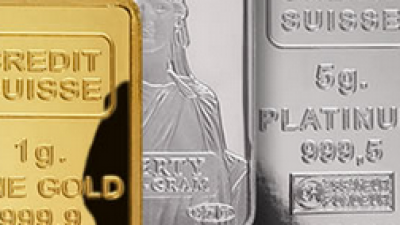 Before gold became popular, countries adopted a “silver standard” for their currencies. The coin in your hand had a tangible value. The USA based its system on the silver dollar, not gold. So much is history. WIM says: The day of silver will not come again. It will remain a slave to gold; get used to it. China and its Gold Resources. Having – we – hope – debunked the myth that the world is running out of raw materials, we get down to the cost of producing them. This is a feature of price. China is the world’s largest gold producer, at 430t or 15% of total mined output, but does it have the resources to continue at this rate? We are indebted to an intuitive article by L. Williams of Mineweb this week who reminds: China’s gold resources are put at 8200t, exceeded only by South Africa at 31,000t. The trick is, at what price are they economic? 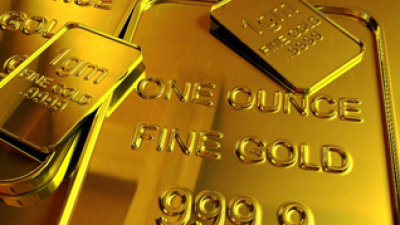 Separately we look at how a country’s gold holdings affect its economic status. China’s inventory is only declared at just over 1000 tonnes. Is this a real figure? Is something afoot? WIM says: The gold market is on the move, but this is not a solicitation to buy the metal-yet. The London Gold Fix is 95 years old. It has stood the test of time but is now under pressure. Of the five banks which meet twice daily to determine how the metal is priced, Deutsche Bank has bailed out. They cannot find a buyer for their seat. Time was (watch that rocking chair), there would have been a stampede. Pricing mechanisms are changing and not necessarily for the better. It seems, it we believe report, that the LME has thrown its hat into the ring. Now that hallowed institution is owned by Hong Kong interests. Hmm!